Carmella waves the MITB briefcase in everyone’s face. Everyone gangs up on Carmella. Carmella is eliminated by a kick from Deville. The next person everyone gangs up on is Dana Brooke. She is also thrown out by everyone. The NXT women start an NXT chant. Mandy Rose is eliminated. Conti slams Dakota Kai. Bianca BelAir hits a 450 on Kai. Kai is dumped over the top. After the break, Deville and Kari Sane have been eliminated. Lana is eliminated. Devi is eliminated. Morgan dropkicks Conti off the apron to eliminate her. BelAir whips Lynch with her hair. Lynch blast BelAir with a head kick that sends her over to top. Banks eliminates Kai and Lynch. James is kicked off the apron by Riott. Bayley saves Banks from a suplex by Natalya. Banks and Bayley. Bayley saves Banks from being eliminated by Logan. Banks and Bayley are the last two in the ring. Banks goes to shake Bayley’s hand. Bayley grabs Banks by the head and tosses her over the top rope! Bayley thinks she has won. Naomi was never eliminated from the match. Naomi hits the rear view on Bayley. Naomi dumps Bayley over the top for the win! They show Lita revealing the first-ever WWE Women’s Title earlier tonight before going to a video package for the next match. 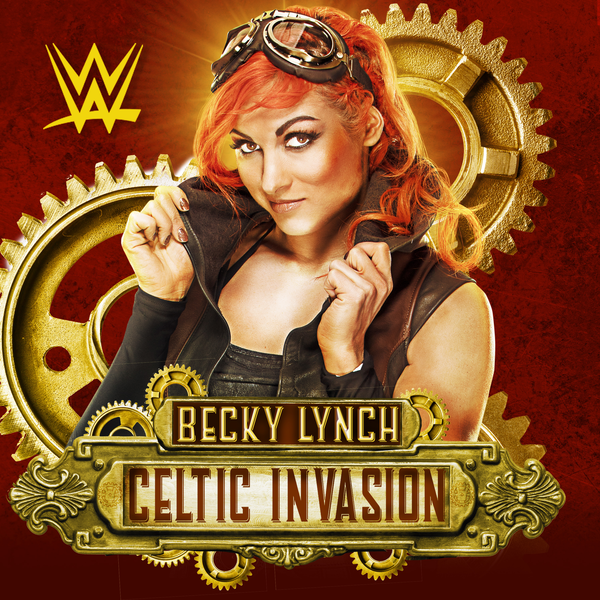 We go to the ring and out first comes Becky Lynch to a pop. We see Lita in the ring holding the new title, which will be presented to the winner of this match. Sasha Banks’ music hits next and fans pop big. WWE Hall of Famer Snoop Dogg comes out with Raven Felix, who sings Sasha’s theme. Snoop starts rapping to introduce his cousin and out she comes to a big pop. Snoop escorts her to the ring. Cole tells us Sasha’s gear is inspired by Eddie Guerrero, her hero. Purple confetti falls in the stadium as Snoop and Sasha head to ringside. They stop and give each other love as Sasha hits the ring and Snoop heads back up. Out next comes the last WWE Divas Champion Charlotte in a robe that’s made out of pieces her dad wore at WrestleMania 32 in his retirement match. Charlotte heads to the ring with WWE Hall of Famer Ric Flair right behind her. She stops and raises her arms as pyro goes off behind her. Cole confirms the title will be retired tonight. Flair takes the robe at ringside as we see crew members cleaning confetti up from the ring area. Charlotte raises the title and we get formal ring introductions from Lilian. Fans chant “this is wrestling” before the bell. Charlotte fights them both off to start. It comes down to Sasha and Becky going at it. Charlotte stops a pin. Sasha gets a close pin on Becky. More back and forth and pins. Becky runs into a big boot from Charlotte. Charlotte points at Sasha and the fans pop as Becky rolls to the floor. Sasha ends up taking Charlotte down with a hurricanrana. Charlotte drops Sasha into the corner and thrusts her. Becky comes in and Germans Charlotte but Sasha takes a pin for a 2 count. Sasha and Becky go at it now. Becky with an arm drags. She keeps Sasha grounded now. Charlotte drags Sasha out of the ring with a wheelbarrow and slingshots her back into the ropes, to the floor. Becky takes Sasha out on the floor and brings her back in. 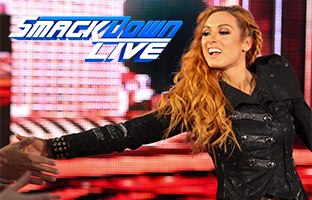 Charlotte goes for a Figure Four but Becky kicks her off and hits more shots. Becky with an inverted DDT for a 2 count. Charlotte sells an arm injury. Becky goes to the corner but Charlotte cuts her off and brings her to the mat with a Rude Awakening for a 2 count. Charlotte keeps control for another 2 count. Charlotte works on Becky’s legs now. Becky fights off a Figure Four and in comes Sasha. Sasha with shoulder thrusts on Charlotte in the corner. She lays Charlotte across the middle rope and goes for the knees but Becky runs over and sends Sasha to the floor hard. Charlotte moves out of the way and rolls Becky up for 2. Becky ends up getting the Disarm Her applied and Flair jumps on the apron to provide distraction but has no luck. Flair hops back down and the referee checks on Charlotte. Sasha runs in and breaks the hold. Becky tosses Sasha back to the floor. Charlotte drives Becky’s back into her knee. Charlotte applies the Figure Four but can’t bridge it. Sasha comes off the top with an Eddie Guerrero frogsplash on both of them and covers Charlotte for a close 2 count. Sasha catches Charlotte with double knees for a 2 count as Becky breaks it. Becky with a big German on Sasha. More back and forth. Becky with a Rock Bottom on Charlotte but Sasha breaks the pin. Sasha and Becky go at it now. Becky with a roll up for 2. Sasha with double knees in the corner. Sasha plays to the crowd and gets a pop. Sasha runs the ropes with Becky but leaps out onto Charlotte on the floor. F;air gets in Charlotte’s face and “whooos” at him. Becky dives out and takes just Flair down to a big pop. Everyone is down as Charlotte pulls herself to the apron. She goes to the top and nails a nice moonsault on Becky and Sasha. Charlotte is hype as fans give her an applause. Fans chant “this is wrestling” as we get several replays. Charlotte brings them both in the ring as the same time and hits a double Natural Selection. She covers Becky for a 2 count. She covers Sasha for a 2 count. Charlotte is frustrated now. She covers for two more pin attempts. Flair is back to his feet now. Charlotte sends Becky into the ring post. She goes to powerbomb Sasha but Sasha counters and ends back up on her shoulders in an electric chair position. Becky takes them both down with a missile dropkick from the top. Becky with a close 2 count on Charlotte. 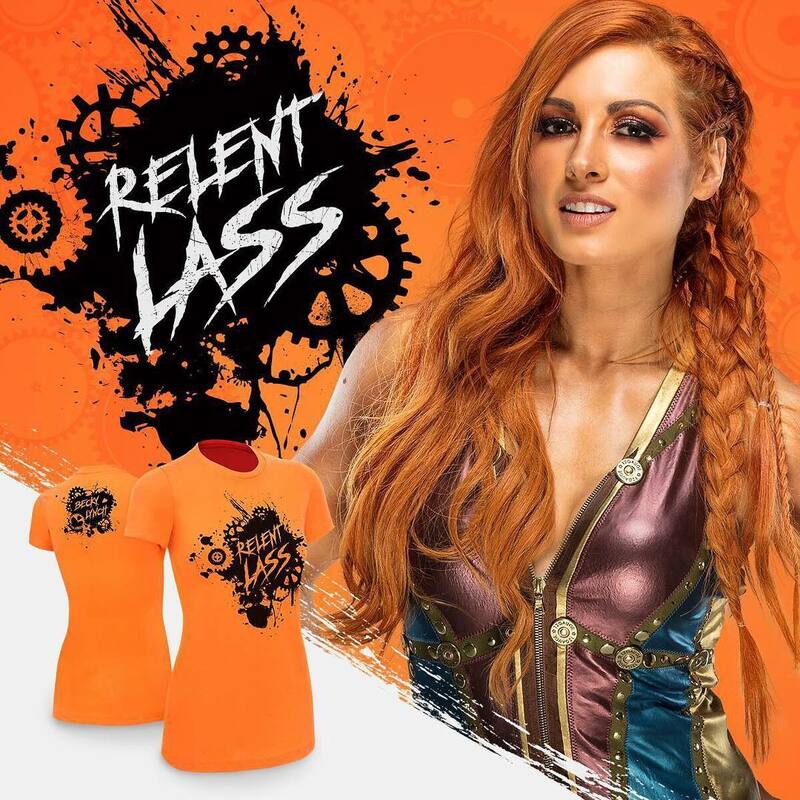 Becky with the Dis-arm-Her on Charlotte for a big pop. Sasha breaks it and gets the Banks Statement on Becky. Charlotte applies the Figure Four on Sasha and Becky goes to the floor. Sasha fights it and reveres the Figure Four. Charlotte bridges into the Figure Eight but Becky pulls Sasha from the floor and breaks the hold. Charlotte chops each opponent while all three are on their knee snow. Sasha and Becky unload and both hammer away on her. They end up getting to their feet and Charlotte spears Sasha. Becky takes Charlotte to the corner for thrusts. 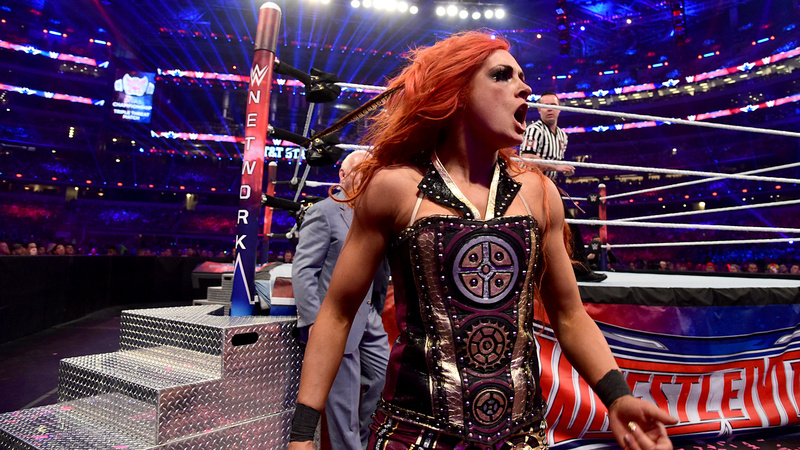 Becky takes Charlotte to the top but Charlotte fights her. Sasha comes over and pushes Becky to the mat. Sasha beats on Charlotte on the top. Becky kicks Sasha’s feet out and she’s hung upside down. Becky hits a big superplex on Charlotte. Sasha ends up hitting the Backstabber and Banks Statement on Becky again. Charlotte sends Sasha to the floor and fans boo. Charlotte applies the Figure Four and bridges it on Becky for the win. – After the match, Charlotte’s music hits as she raises the brand new title in the air and gets emotional. We go to replays. We come back to The Flairs leaving. Charlotte stops on the ramp and raises the title as pyro goes off. We see an outside shot of AT&T Stadium and pyro is going off all around the stadium. Cole says it’s a new era.